Shrimp cocktail is a classic and timeless way to serve chilled shrimp. Boiling is the common method for cooking shrimp that need to be chilled for appetizers such as shrimp cocktail or a shrimp salad. Generally the shrimp is boiled in salted water, but many professional chefs boil the shrimp in a flavorful broth to infuse it with even more flavor. Any size of shrimp works, depending on what you are making -- jumbo shrimp works best for shrimp cocktail and shrimp remoulade, while smaller shrimp are ideal for cold shrimp salad. 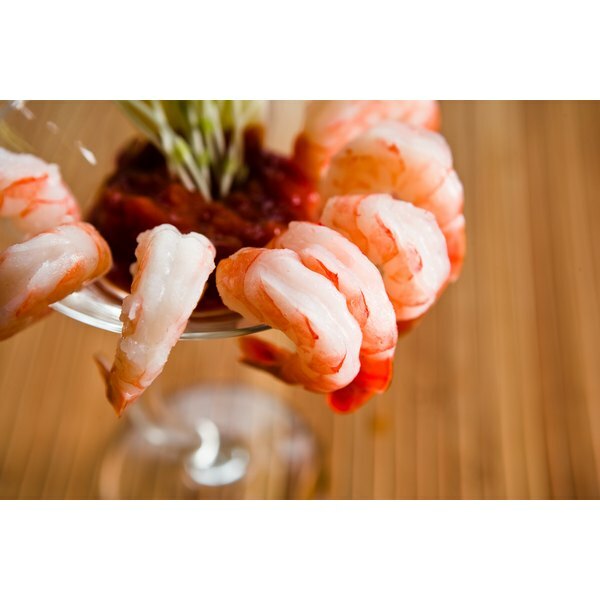 Use shell-on shrimp if possible, as it has more natural shrimp flavor than peeled shrimp. Fill a large pot with water. Add kosher salt and bring to a boil. Use about 3 to 4 quarts of water for every 2 pounds of shrimp. Add the shrimp and boil until they are opaque and heated through, about 2 to 3 minutes. Use a food thermometer to make sure they have cooked to a temperature of 145 degrees Fahrenheit, recommended by FoodSafety.gov for safe consumption. Drain the shrimp and place on a baking sheet in a single layer. Allow them to cool for about 5 to 10 minutes. Place them in the refrigerator for an or until the shrimp are completely chilled. Peel the shrimp after they are chilled if you used shell-on shrimp. 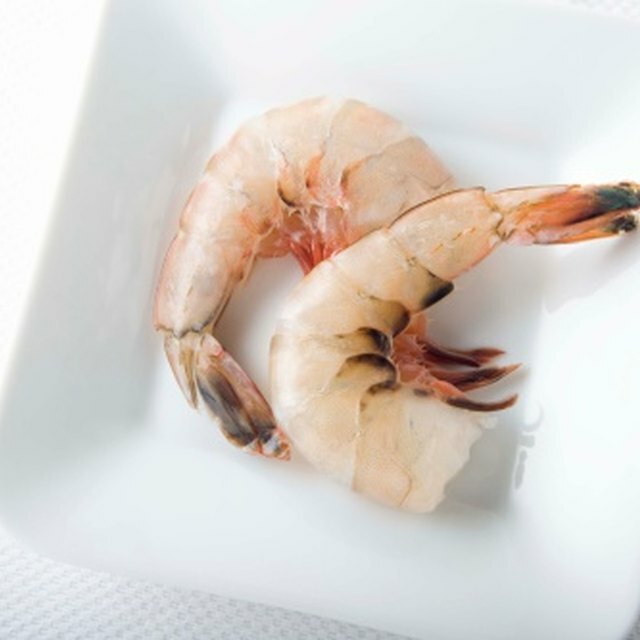 Use a paring knife to make a shallow slit down the back of each shrimp and remove the black vein before serving. Boil the shrimp in a wine broth to add more flavor to the shrimp. Add about 1 cup of white wine to water per pound of shrimp, along with fresh herbs of your choice, such as thyme, parsley and bay leaves, as well as minced garlic and onions. It's sometimes hard to determine when shell-on shrimp are cooked through. Check one after the first minute by slicing, cutting through the shell in the middle of a shrimp to check for opaqueness. How Can You Tell If Frozen Shrimps Are Bad?